Pioneers: We are the first Surf Camp in Spain with over 20 years of surf instruction and thousands of lessons taught. Climate: Our geographical situation and the high temperatures of the island all year round allow us to practice and teach surf all year. Experience: We are a quality instruction and education focused school. Every year we work hard to improve our school, we want to offer our customers not only a service, but also an unforgettable experience. Equipment: All our equipment is renewed yearly. In addition, we have 150 surfboards so you can choose the one you lik most. Safety: All our instructors are also lifeguards. Recommendations: For all the recommendations we have received. 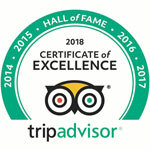 Comments on sites like TripAdvisor or Facebook by men, women and children who have already tried some of our courses. They are your guarantee to know that Calima Surf is your best choice. Originally from the Canary Islands, Maike founded this surfing camp in 1996 and is in charge of human resources and marketing. He started surfing in 1981, his passion for the sport leading him to surf in 5 continents. 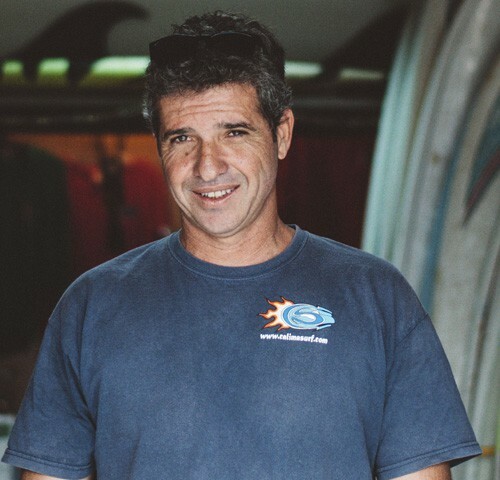 In the early days of Calima Surf, he managed the school and led the surfaris with the most advanced level 3 customers. Maike is still in search of the perfect wave and will travel the world to find it. If you want to meet him, find him in San Juan or La Santa where he spends more time than he does in his own house.